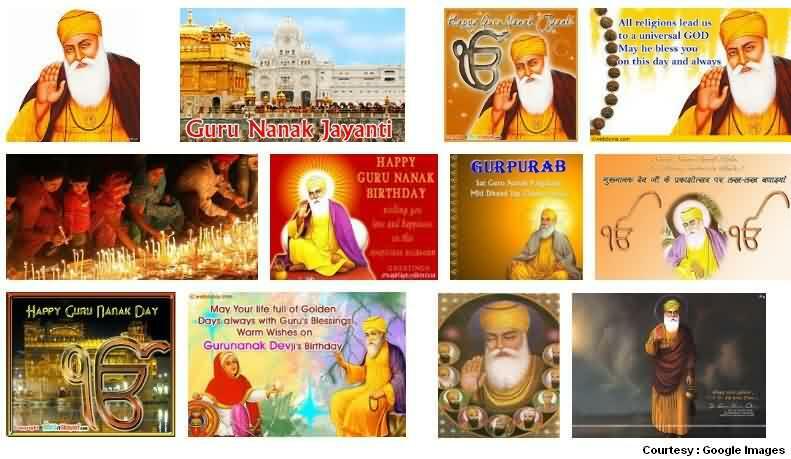 Year 2017 was 548th Birthday of Guru Nanakji, And when the Guru Nanak Jayanti attracts about 50000 to 100000 people and more at famous locations like Ghatkopar’s Garodia Nagar Ground for special Langar (Free Food To Community and Other People as Blessing) which see visitors coming from all over Mumbai and Navi Mumbai area after those morning Asa-di-Var (hymns) blessing and visits to Gurudwara and reading the sacred book of Sikhism upon performing Akhand Path. One of the rituals on this day early morning at 4 to 5 Am is carrying Guru Granth Sahib Book on head to Gurudwara and reading it. They also call is a process of getting sacred Prakash ‘Spiritual Light and Blessing From Guru Granth Sahib’. Guru Singh Sabha at Dadar, the central body of Sikh Community and Mumbai’s Gurudwaras around Mumbai arranges for Langar after the morning blessings of auspicious day of this Gurpurab which continuous for 3 days total, each year thousands of people have their Langar lunch which has varieties like Dal Rice, Sabji, Roti, some sweets etc. All around India, cooking and feeding others for free, preaching humanity and helping is what Guruji believed and so is what his Birthday Celebration in Mumbai and around India this day. None of the Sikh families in city cooks at home this day. the strength of community is seen wearing white clothes and pagdi with their iconic talwar and khanjar can be seen during Langar and major gurudwaras around City. Supreme Council of Navi Mumbai Gurdwaras (SCNMG) is another sikh body in Navi Mumbai which takes care of such events and this year both of them promoted the protection of Mother Nature and also focused on Animal Welfare and Rights in Mumbai City. Similarly Navi Mumbai Punjabi Cultural & Welfare Association from Navi Mumbai which is another active body of community distributed food and eatables like fruits etc at hospitals and schools. Another beautiful this is to enjoy Palki on streets, See those martial arts performance by sikh community people with Nishan Saheb (Sikh Flag) on top, Its just like watching the Ganesh festival during visarjan on Mumbai streets. Hey please let know what more happens at your home, and how this festival is celebrated individually around Mumbai via the feedback and comment box below.